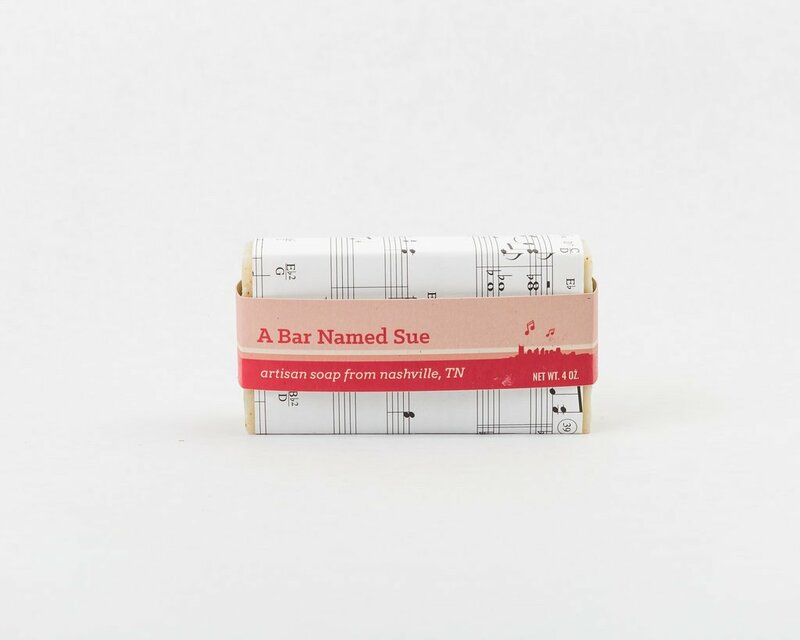 “A Bar Named Sue” is a delicate floral solo. Its rose garden scent will make you want to kick back on the front porch with a tall glass of sweet tea and put some Cash on the gramophone. It is made with chamomile tea, chamomile flowers, and is scented with a lovely rose geranium oil. 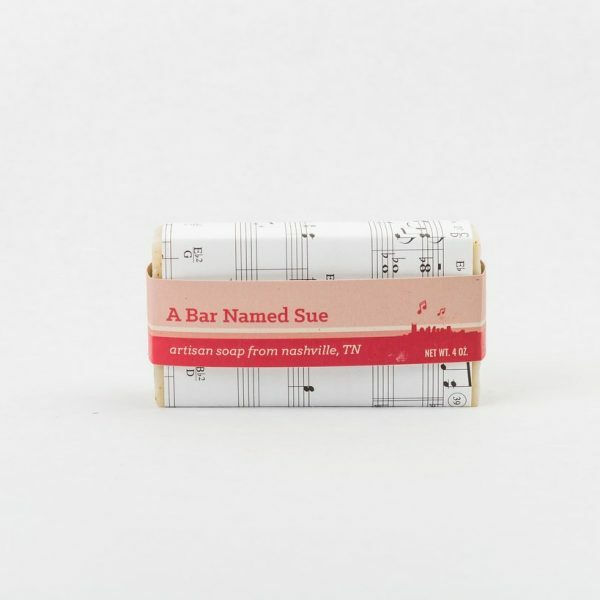 Each bar comes wrapped in a piece of sheet music.